The new stars of "The Ferryman"
It's time for the harvest! 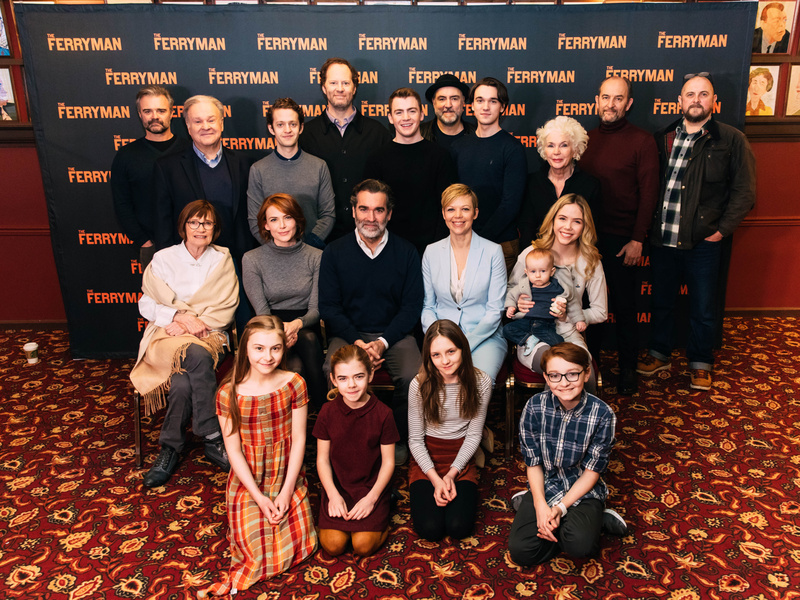 The previously announced new cast members of Jez Butterworth's The Ferryman got together on January 17 at Sardi's to celebrate ahead of their first performance on February 19. 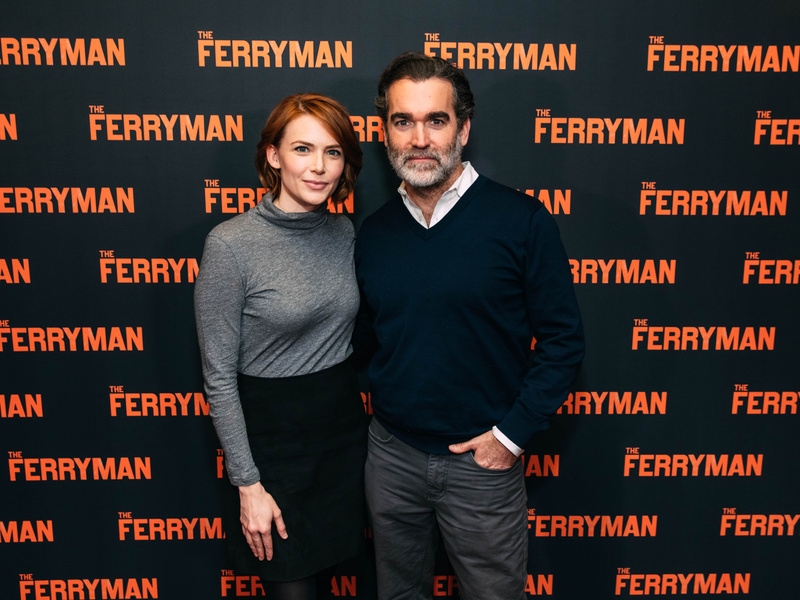 Led by three-time Tony nominee Brian d'Arcy James, the new cast also features Holley Fain, Tony winner Shuler Hensley, Tony winner Blair Brown, Jack DiFalco, Emily Bergl, Fred Applegate, Sean Delaney and Collin Kelly-Sordelet. The original Broadway stars of The Ferryman will take their final bow on February 17. Check out the photos of the cast and be sure to visit this family for yourself. Holley Fain and Brian d'Arcy James will play Caitlin and Quinn Carney, respectively. 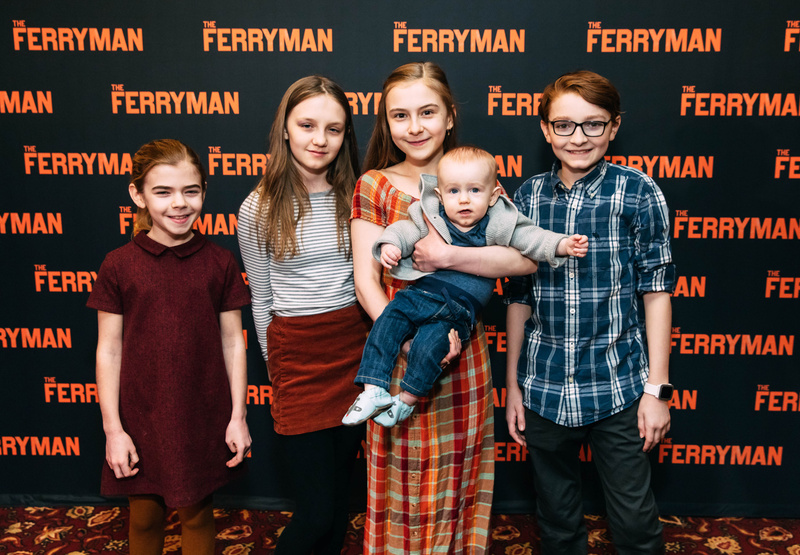 Matilda Lawler, Willow McCarthy, Brooklyn Shuck, Sean Frank Coffey and Michael Quinton McArthur play the children in The Ferryman. Jez Butterworth's drama arrives on Broadway following an acclaimed run in London's West End.